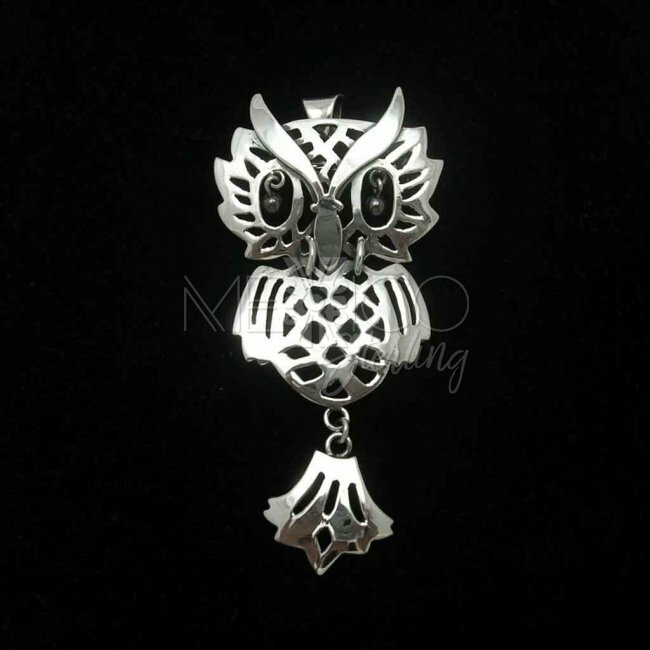 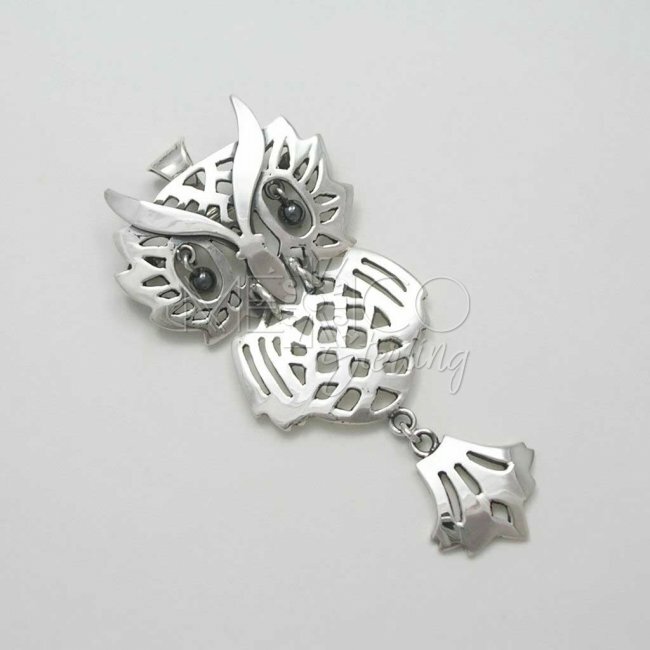 Taxco Sterling Silver Owl Pendant-Brooch - $86.00 : Mexico Sterling Silver Jewelry, Proundly from Mexico to the world. 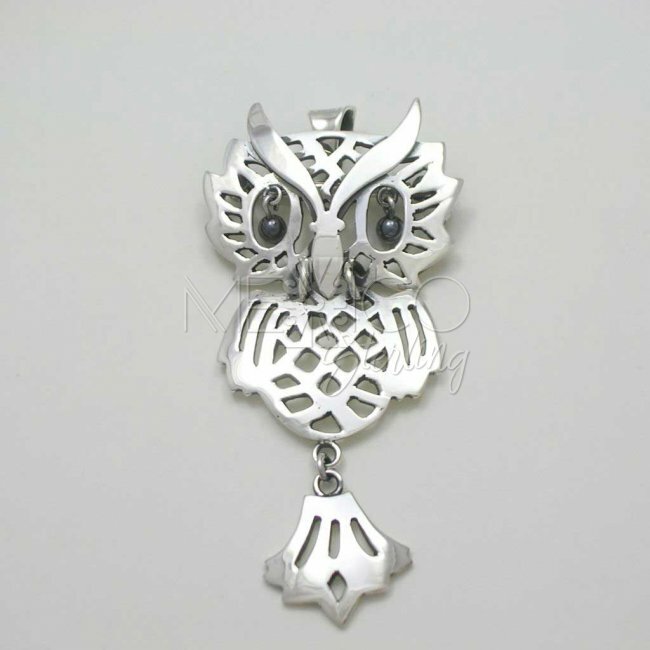 Dimensions: W: 1 5/8" at its widest point. 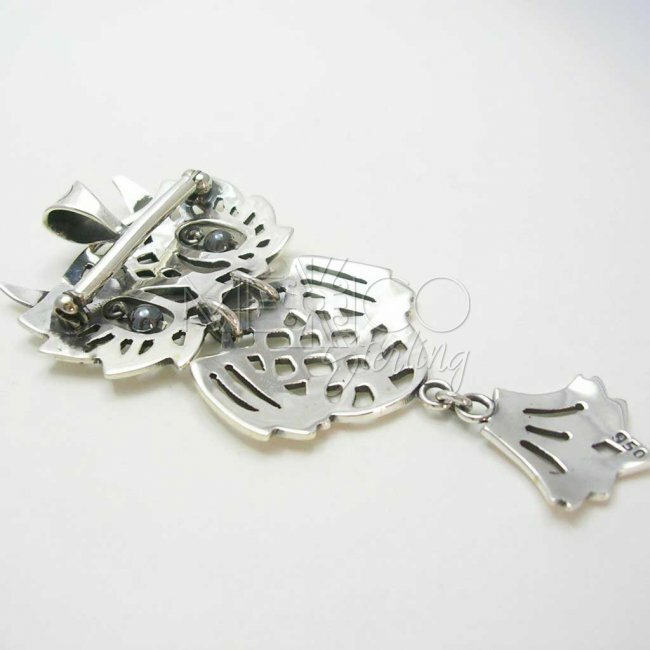 Length : 3 1/8"
This lovely piece of jewelry shows a very detailed and artistic shape that looks amazing on a dark background, you can wear it with a long neck sweater or a more casual light t-shirt, either way, this wonderful and very unique silver pendant-brooch will add a more interesting touch to your final look. 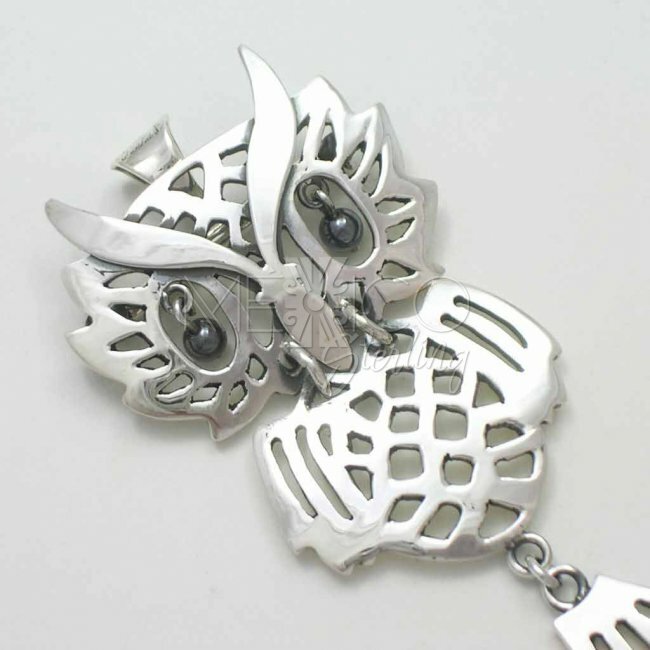 It was completely handmade with excellent workmanship and beautifully finished. 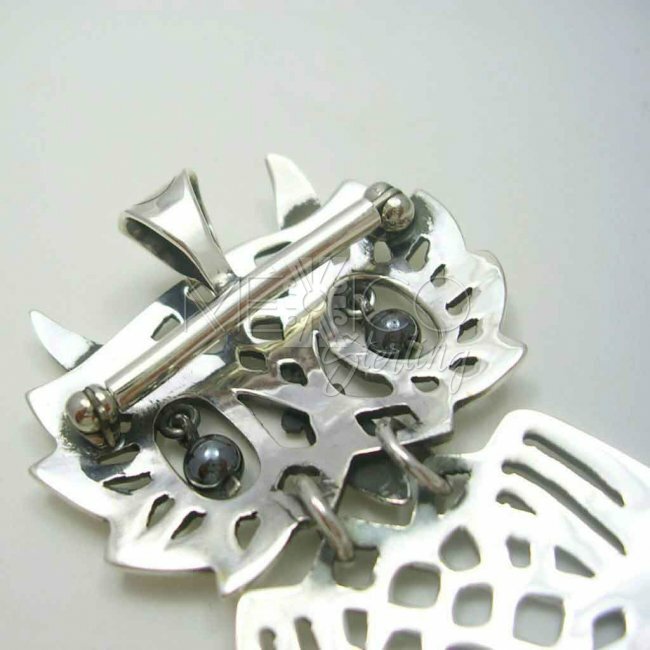 As you could see I call this piece pendant-brooch, it has an attachment that allows you to wear it as both. 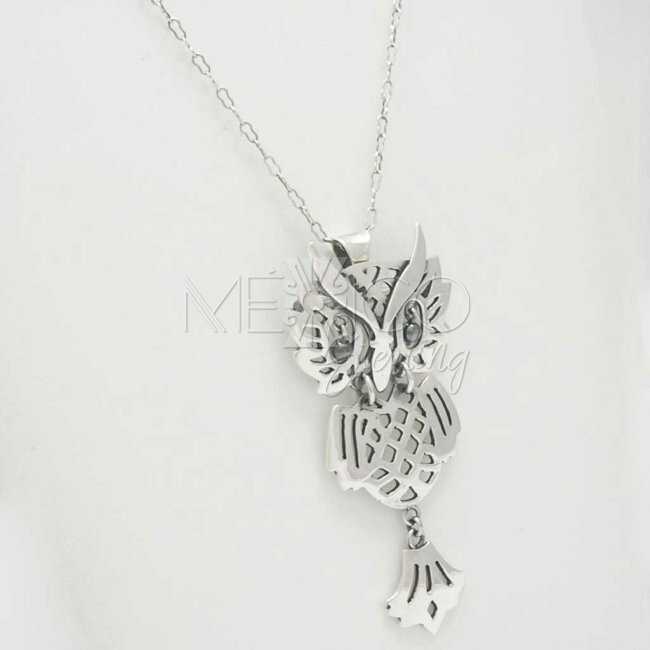 It is also a sturdy piece of jewelry with a substantial weight for its size and built. 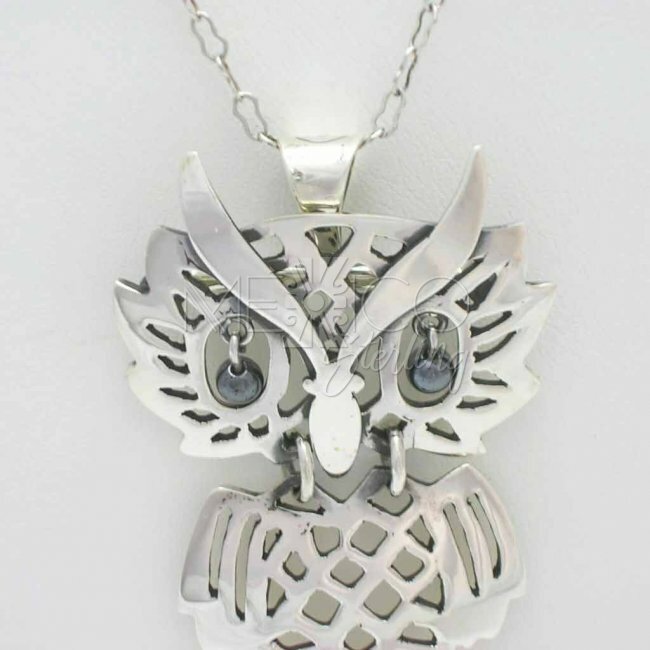 There's also a very subtle detail that adds more beauty to it, the eyes of the owl are 2 hematite stones. 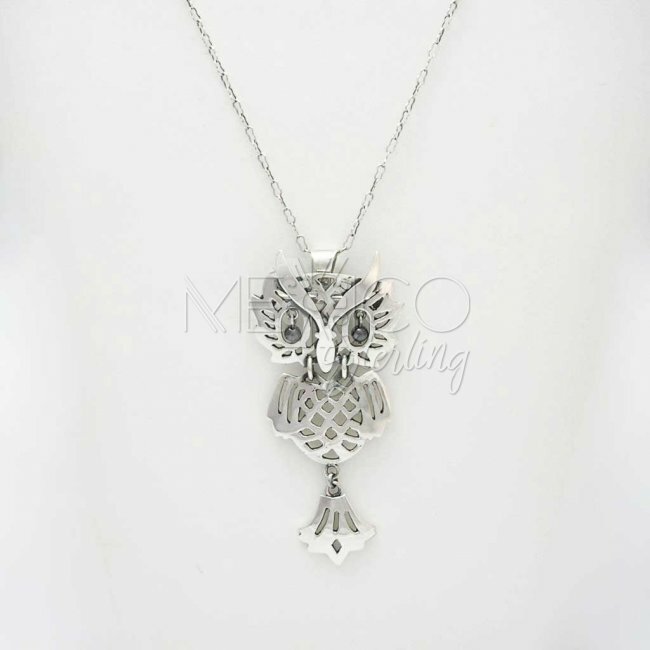 Please read the "size and weight" in the field above for more information on its features.